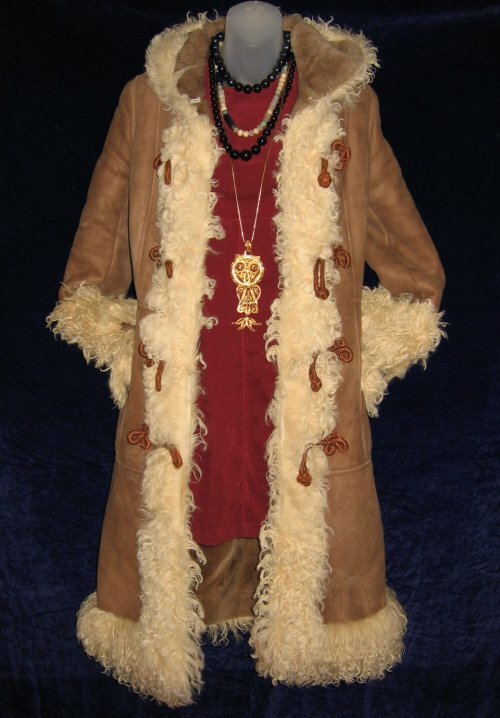 Vintage Sheepskin Hooded Long Coat - Genuine Authentic! 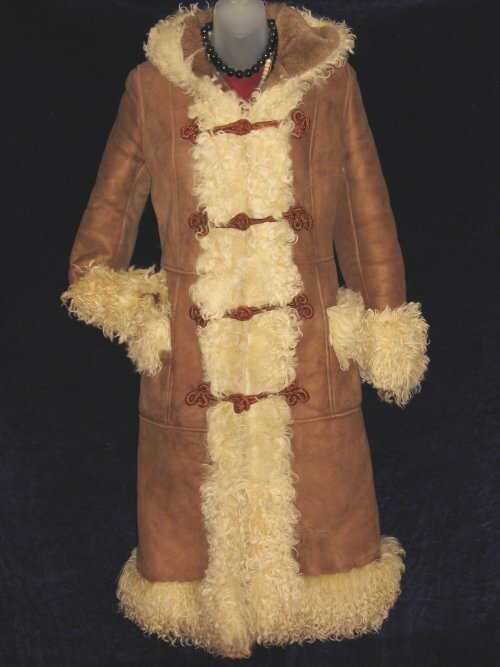 AUTHENTIC LONG HAIR SHEEPSKIN ~ HOODED LONG COAT! 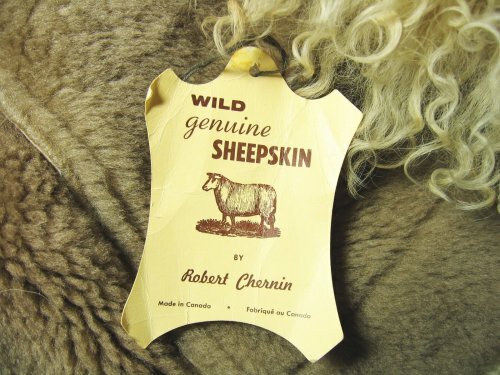 Wild GENUINE SHEEPSKIN by Robert Cherin. Natural unbleached sheepskin. Super warmth with the inner sheered sheepskin! Long hair trims on hood, cuffs, pockets, front closure and bottom trim. Frog closures. By HURTIG FURRIERS of CANADA. Spectacular hippie boho! Size - X Small, Bust - 34", Waist - 30", Hip - 36", Shoulder to shoulder - 16", Armpit to bottom - 33". Centre back neck to bottom hem - 41", Sleeve length - 24", including 5" long hair cuff. 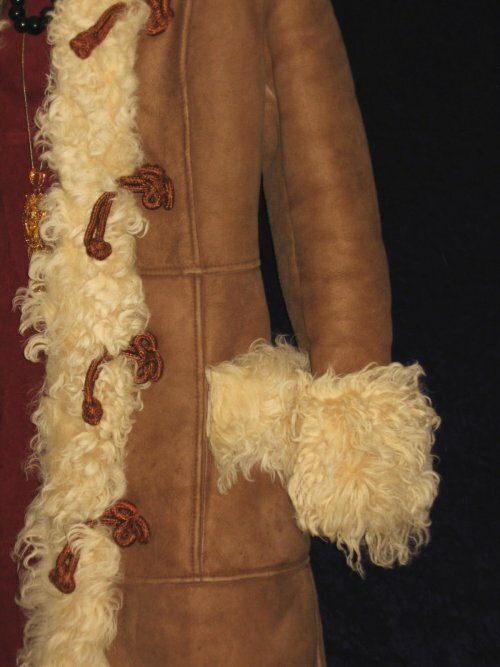 Collar height at back centre - 5", points - 6", Bottom sheepskin trim is 3" wide hide, with long fur 4-5" long. SWEEP (circumference of bottom) - 57". 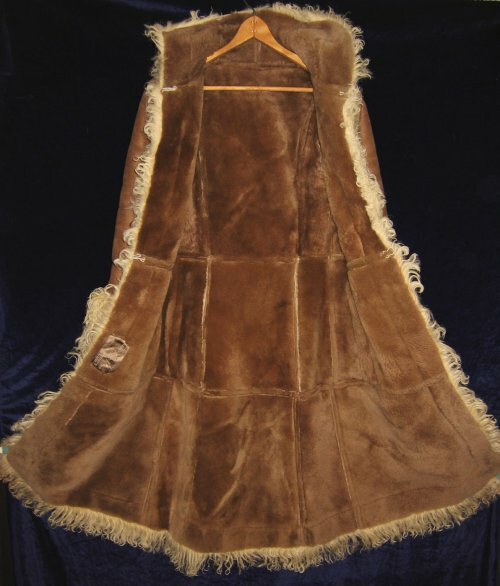 The coat does show wear which is consistent with its age and use. There is wear on the long hair sections on the hood, inside cuff and along the front closure. 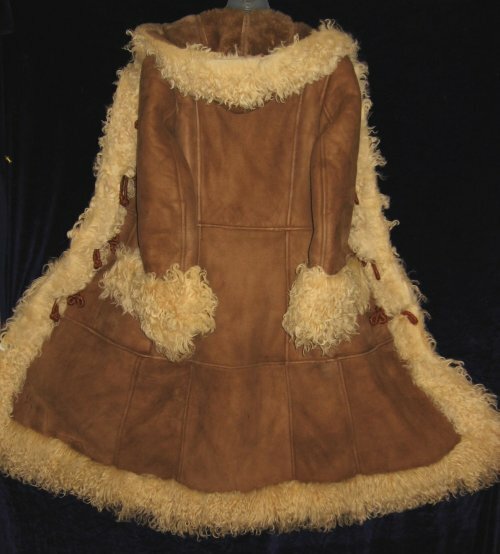 The cream sheepskin hide shows where the fur has worn off. The inside sheared sheep shows a dark spot, the camera flash highlights the color difference.